New Year, New Career for You! Are You Called to serve others in TIME OF CRISIS? Asked to perform a wedding? With ordination as a Minister, Rabbi, Pastor, Reverend, Priest you can legally officiate marriages, give spiritual counseling, healings, intuitive readings, and all other clergy services. 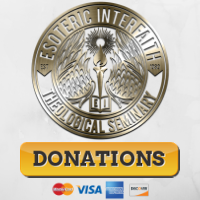 Legally accept donations for your services, start a spiritual counseling practice, file taxes as clergy member, apply for tax exempt non-profit status. Ordination is FREE if you pursue a religious Doctorate Degree via our online study programs. Doctor of Divinity, Doctor of Theology (Th.D. ), Ministry, Sacred Music, PhD degrees available for sincere spiritual leaders, teachers, counselors, enabling you to legally attach Dr., Ph.D., D.Div. etc. to your name. With minister credentials from us you may perform a wedding in all 50 states. Instantly attach Reverend (Rev.) to your name, Letter of Good Standing always available when needed. Founding Church Charter available. Demand is high for alternative clergy. Spiritual leaders, teachers, ministers and counselors are needed in every county of every state. Is it time for you to answer the “Call” to ordination? Technically you cannot receive ordination “online” because ordination takes place in the spiritual realm when you answer the Call. The ordaining process is simple, just complete these 3 easy steps. Legally officiate a wedding the next day, depending on your state. Some states such as Virginia, Hawaii, Massachusetts and cities like New York City and Washington D.C., do require extra paperwork, but we help you with all that. Unlike other minister license and ordination websites online, we charge NO annual renewal fees. Your one-time ordination donation of only $150 is good for your life-time. Your Certificate of Ordination is signed by a live person, not printed out by you on your home printer as the cheapie online ordination sites do! We also provide lifetime reference service, assistance filling out marriage license and any other clergy paperwork. Some ministers call us (or text!) on the wedding day so we walk them through filling out the marriage license. We have a vast alumni support forum. We have ordained many professionals, doctors, nurses and attorneys over the years and many of them participate in our members only forum where you can ask questions, get advice and assistance from veteran clergy — or search the over 13+ years of message archives in the alumni support forum. We have been ordaining ministers since 1987. Our alumni have successfully performed marriages in all fifty states and many countries around the world. Our alumni network is very supportive, giving advice on everything from weddings to funerals to founding non-profit pastoral counseling healing centers. Become Ordained to officiate a marriage Get ordained today, perform / officiate a wedding tomorrow We do all the legal ordination paperwork and on the day of the wedding will even help you fill out the clergy portion of the marriage license.